Venturi aeration systems, available through Hydro Innovations, are suitable for odour control, sludge digestion, wastewater aeration, lake destratification, septage treatment and many other applications. The Venturi Aerator is a static device that is installed immediately downstream of a pump. The pumped fluid is forced into the aerator, where a specially designed and machined nozzle produces a venturi effect, enabling atmospheric air to be drawn into the system and mixed with the pumped fluid. The aerated fluid is then pumped back into the lagoon or basin the water was drawn from. 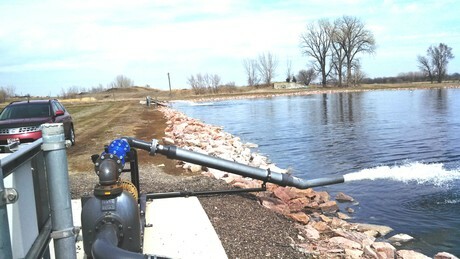 When used with self-priming pumps, the system can be mounted on the banks of lagoons. This is said to make them safer and easier to maintain than other systems. Hydro Innovations claims that by using a Venturi Aerator with a Gorman-Rupp self-priming pump, also available from the company, asset owners can transfer oxygen at a cheaper rate per kW employed than other forms of aeration. 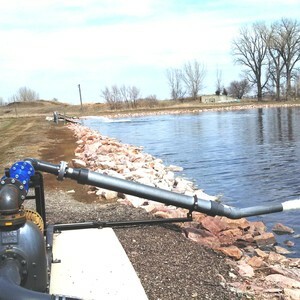 Other forms of aerator are mounted on pontoons and are tethered to banks via cables, whereas the Venturi Aerator system is mounted on lagoon banks, not in them. This makes this style of system safe and easy for operators to maintain. Operators don’t have to drag floating units into banks or row out to them. The aerators are available in 50, 75, 100 and 150 mm sizes, with fluid transfer rates from 5 through to 80 L/s with a single unit. 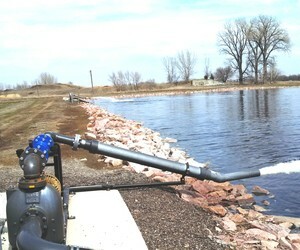 I am interested in Hydro Innovations Venturi Aerator .